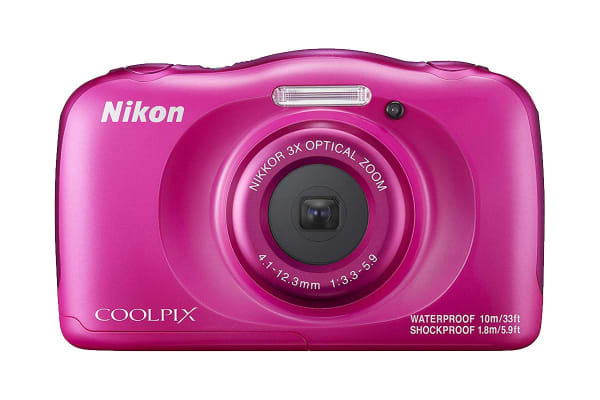 Take family photography to a new level of fun with the Nikon Coolpix W100. Being waterproof, shockproof, cold-resistant and dustproof, you can bring it anywhere and capture of all your family’s memorable moments. 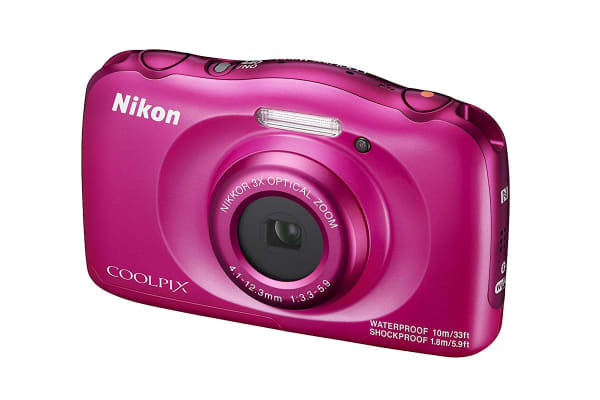 With its rounded shape and easy-to-use buttons, the Coolpix W100 is made for everyone! 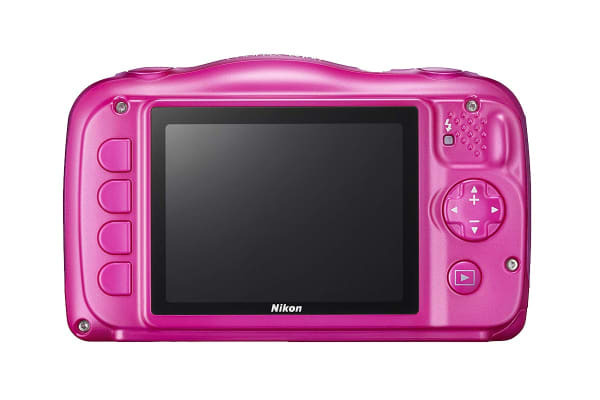 Featuring an approximately 230k-dot, 2.7” TFT LCD monitor and an all-new welcome screen that changes depending on the time of the day, it is easy to review your images and memories. If you are worried about accidentally deleting precious photographs, simply activate the Image Lock feature. Photograph stunning images of your loved ones from any distance, thanks to the 13.2-megapixel CMOS sensor with 3x optical zoom and 6x Dynamic Fine Zoom. Whether it’s the kids playing with ocean waves or your friends in a swimming challenge, you can capture these spontaneous moments with the Coolpix W100’s Target Finding autofocus that automatically focuses on your subject anywhere in the frame. It also features a continuous shot combining technology, which helps produce clear shots, no matter the lighting condition. Even if it gets wet, left out in the cold or dropped on its side, the Coolpix W100 keeps on going. Take it on a dive up to 10m underwater, drop it from 1.8m, brave the cold down to -10° or bring it with you to the sand dunes, capture all of your family’s exciting activities without worry. IPX8 - Capacity to shoot pictures underwater up to a depth of 10 m (32 ft) and for 60 minutes.